Oh my! 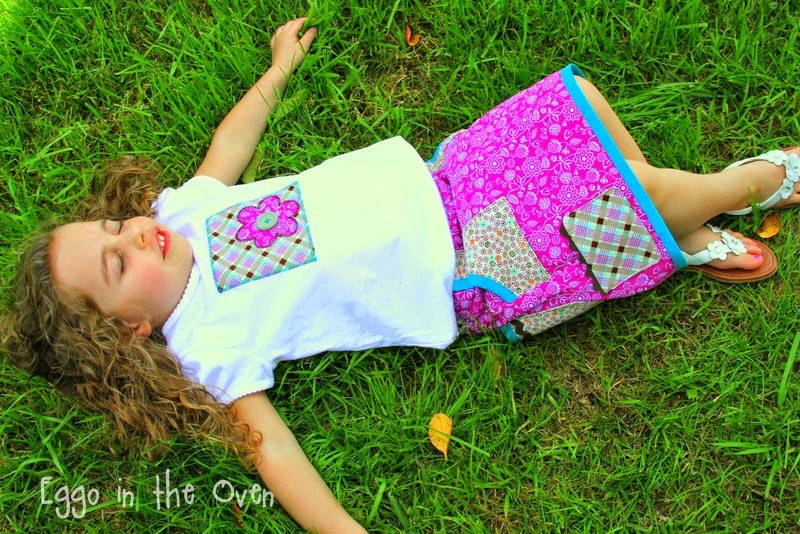 When Laura from Ellie Inspired posted that she had an opportunity for boutiques to do a review of one of her patterns in exchange for a bit of cross-promotion I definitely jumped at the opportunity! 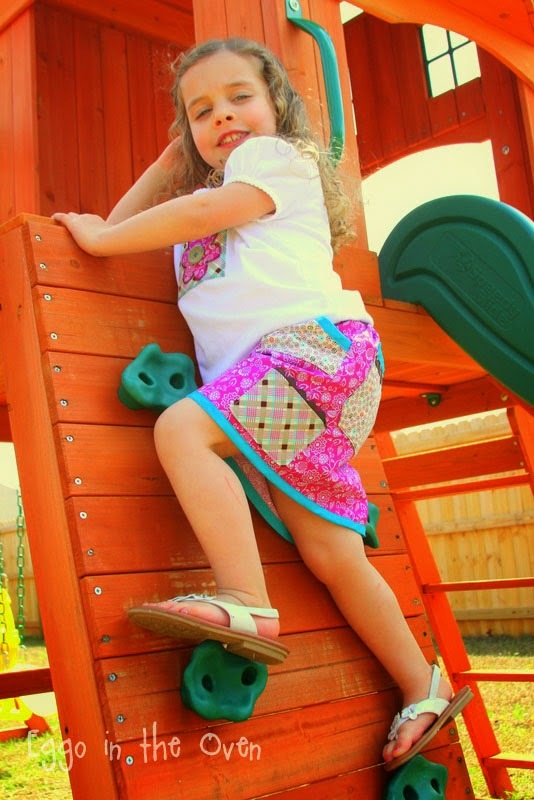 Meet the "Promenade Girl" - - - and my adorable lil' model! 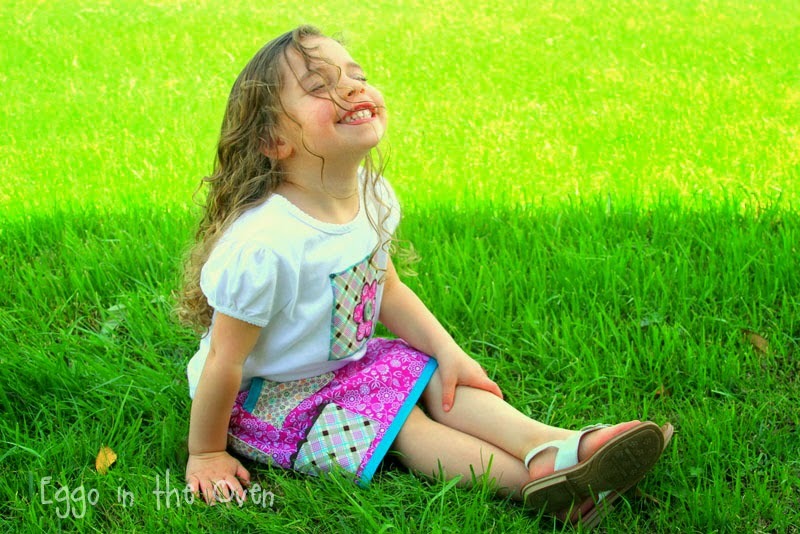 There are SO many adorable patterns over at Ellie Inspired - beware! 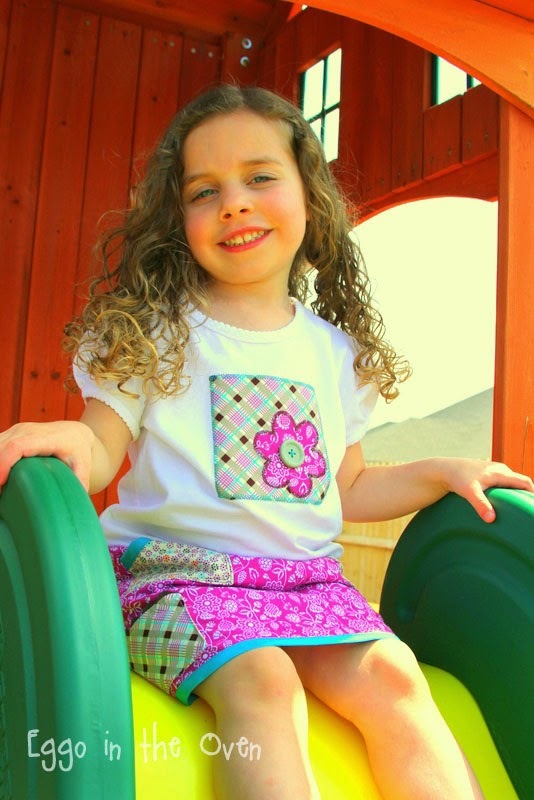 Printing: there are 2 pages to print for the various pocket options - and 6 pages to print if you are adding the shorts (skort option). 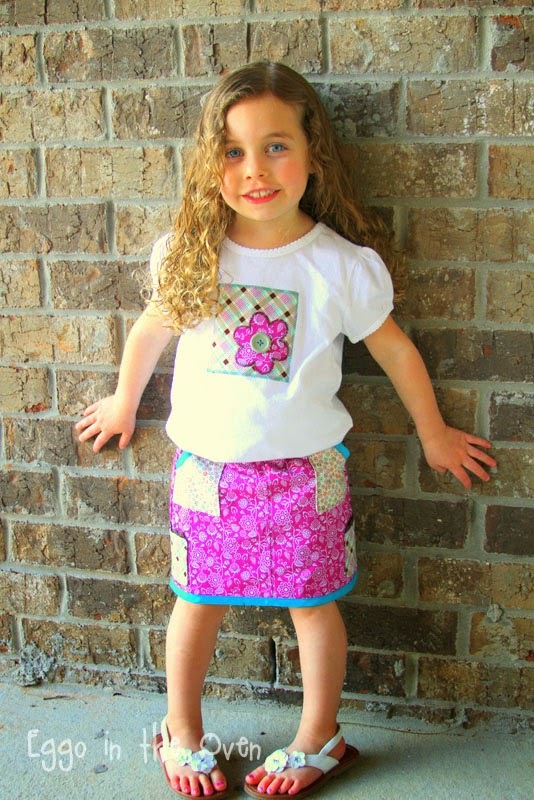 If you are just sewing a skirt (no shorts / skort), you don't need to print those 6 pages! 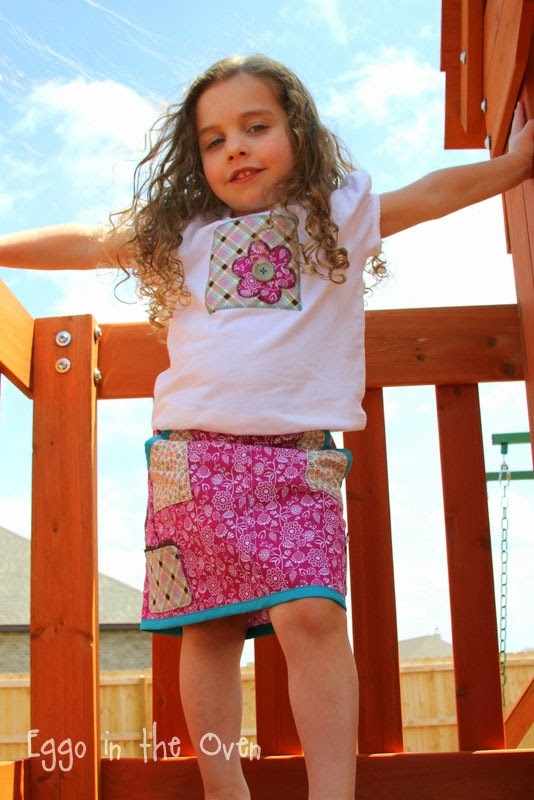 Pattern design: The use of different patterns for the lines for each size (like Laura does for this pattern) is one of those things that just makes me do a happy dance! I print SO many patterns (because I'm constantly printing a different size... and because I have TONS of patterns) - and I much prefer to print in black & white. The use of different line styles for each size makes it SO much easier to follow the correct line!!! BIG brownie points to her for that one! And.... there are so many options - and this makes for such a professional, fun lil' skirt (or skort) - perfect for playing! The directions were clear and easy to follow. Laura does a great job of explaining each step, using lots of photos, and letting you know what you can skip over (depending on what options you are including). Play structure to climb?! No problem! The fit is GREAT! 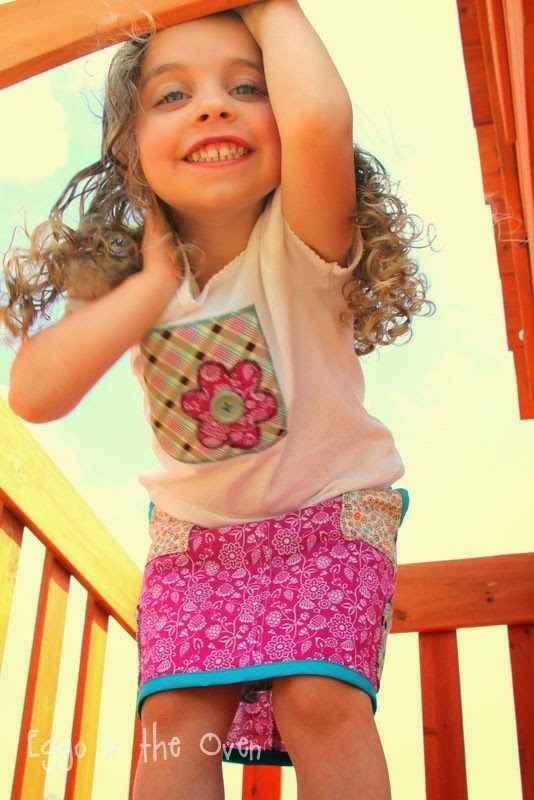 this little girl wears a size 4 in ready-to-wear clothes, so I made her the Promenade Girl size 4 - average.... without getting her measurements (GASP!) - and it fits perfectly! ... and soak up some sun! If you can't tell.... I just love this pattern! 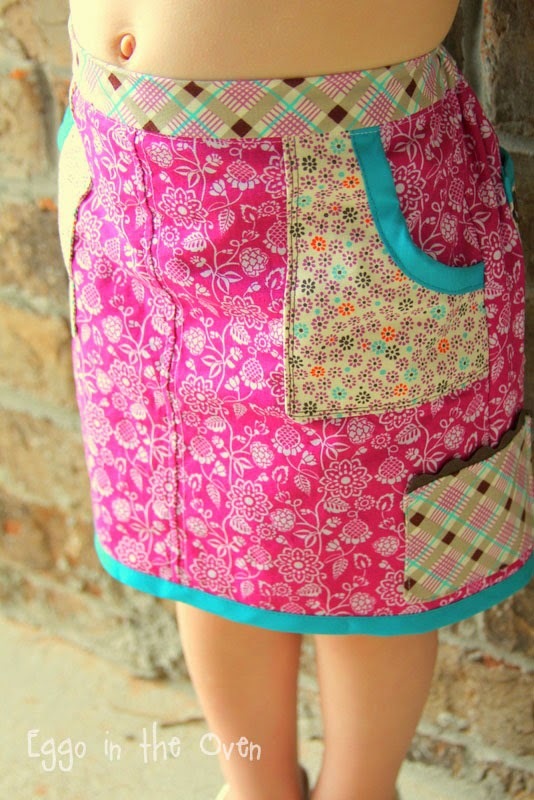 I look forward to sewing up more! I added Ric-Rac to the pockets - because, well, why not!? Peek! 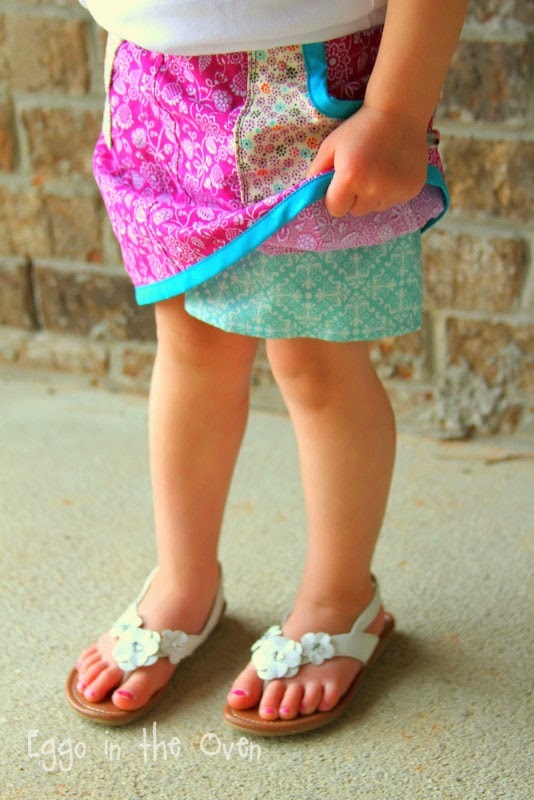 See - look at those adorable shorts under there! No undies will be showing when this lil' lady is busy playing! 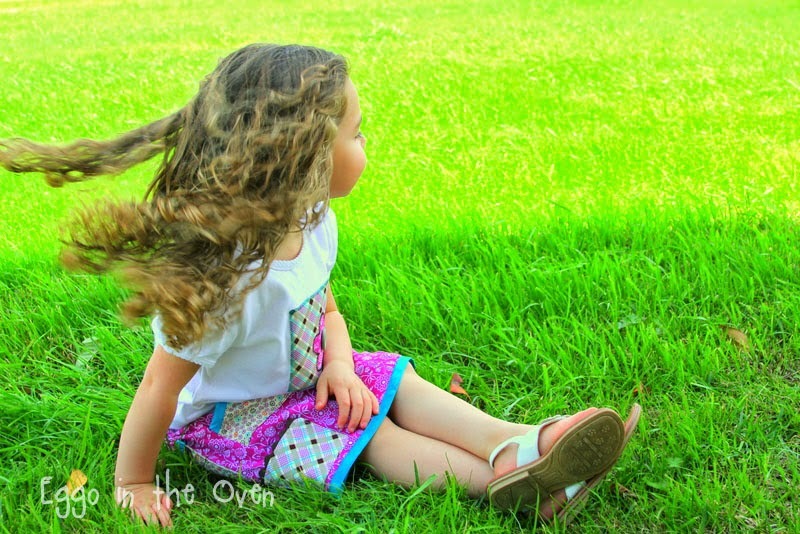 A HUGE thank you to my friend Heather, who provided the adorable model (Seriously, those curls?! And that smile!? Love her!) - and took these amazing photos. My friends rock! 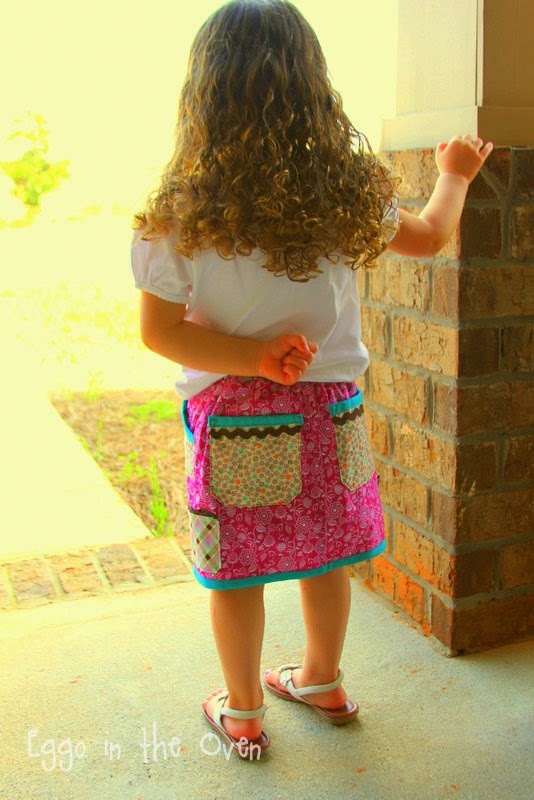 A thank-you to Laura from Ellie Inspired for giving me the opportunity to sew up this sweet pattern and share my photos / experiences with it. 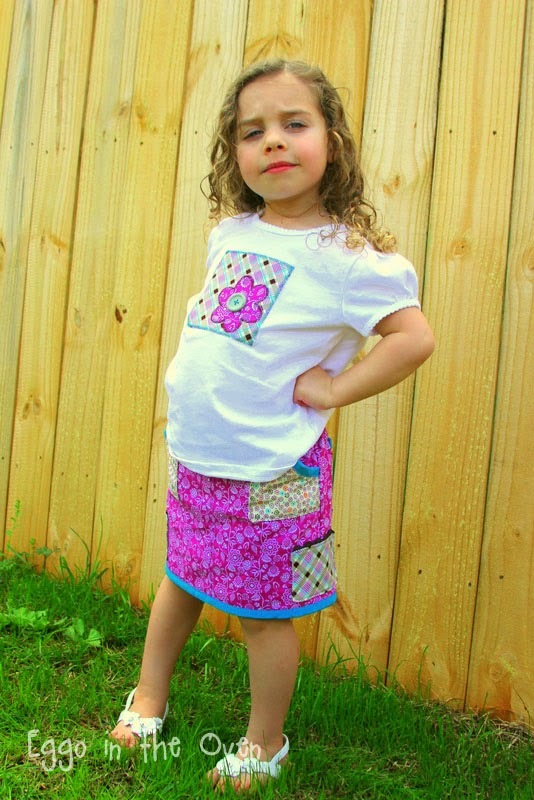 This could be dangerous, though.... there are many more patterns from her shop on my wish-list now! If you made it this far.... you should be rewarded, right?! How about 10% off anything and everything in my Etsy Shop?! Use the coupon code "Promenade" (without the quotation marks) through this Saturday! 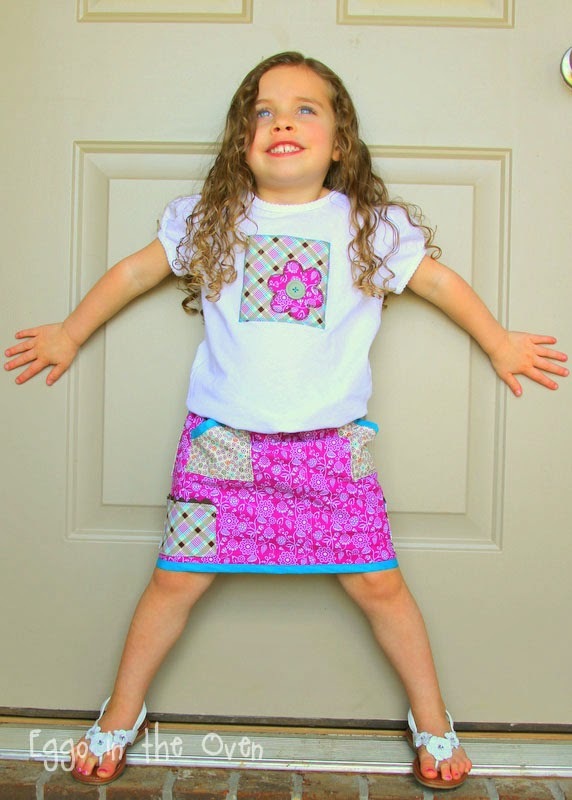 This review is 100% my opinion after sewing up this (adorable) pattern. I was given the pattern for free to sew - but was not compensated in any other way and my review is a completely honest representation of how I feel about this pattern! I had a really great time sewing it - and the questions / suggestions I had along the way were met by Laura of Ellie Inspired with open arms! Sooo cute! I hadn't seen this pattern! 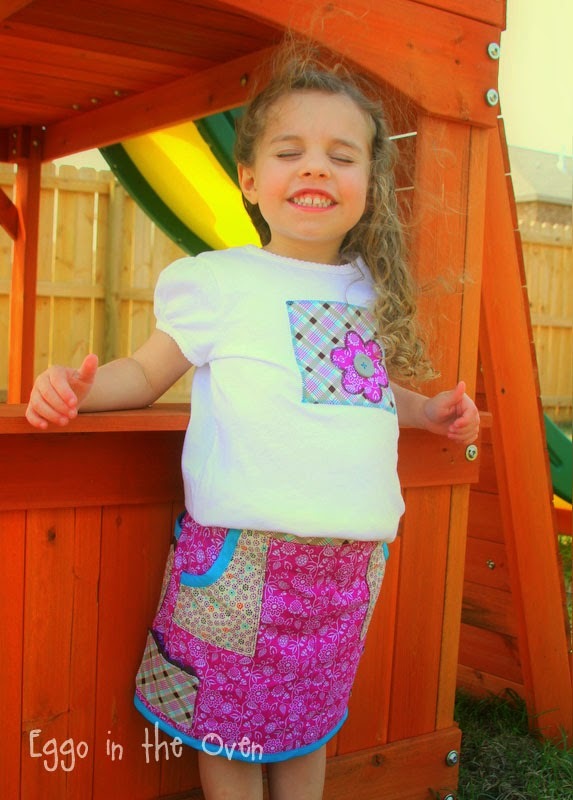 Love your fabric choices, and that little girl is a star!! That skort is adorable. I love ric rac and trim so having all those pockets is right up my alley. And your little girl is so cute. I am jealous of her lovely curly hair. 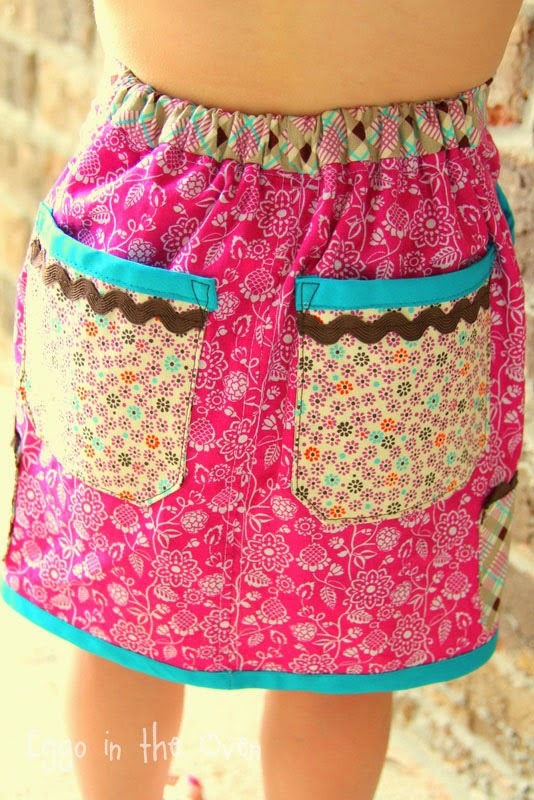 I have this pattern, haven't made it yet - I love your embellished pockets and your fabric choices!